The festival is held at our Waitrose farm, Leckford estate, situated in a beautiful part of the Test Valley in the Hampshire countryside. The estate celebrates and shares Waitrose’s commitment to forward thinking within the food industry and producing the very best quality food, whilst working in harmony with the environment. Only guide dogs are allowed at the festival. 3 – 15 year olds will need to buy a child ticket, age 3 and under go free but will need to be allocated a ticket prior to the event. All minors (15 yrs and under) will need to be accompanied by an adult (16+ yrs). The ticket price includes entry to the event, chef demos, masterclasses, workshops* and lots more festival fun. There will be a wide range of delicious food and drink that can be purchased from our producers, restaurants and bars. Yes. Bags will be checked on entry, please check the prohibited items list above. Please note that alcohol is strictly prohibited. Unfortunately no cash points will be available on site. While we will try to ensure all areas have card machines we cannot guarantee that the signal will always work so we do recommend bringing cash with you in advance. Yes, we have a large parking area in the field next to the festival site. No, we’ve prepared for the Great British summer and have lots of covered areas. Smoking is allowed in designated areas at the festival. Yes, your wristbands that you will be given when you arrive will allow you to do so. 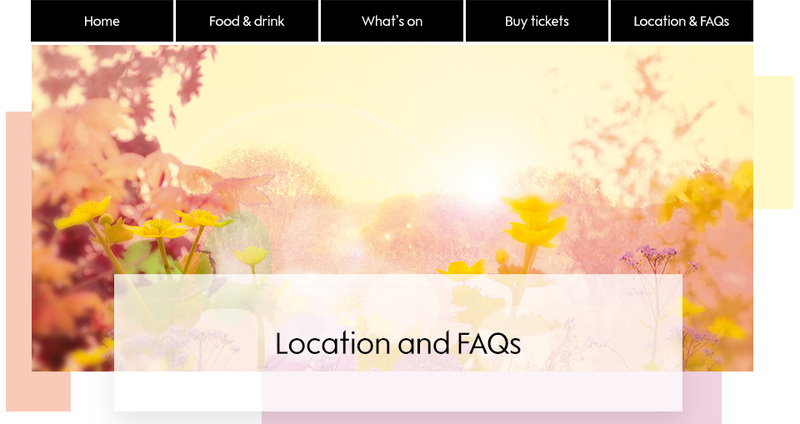 Please visit https://www.seetickets.com/customerservice where you will be able to access your booking.